El tema "Forever" interpretado por As I Lay Dying pertenece a su disco "Frail words collapse". 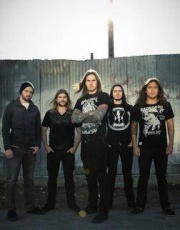 Ahora puedes escuchar y aprender la canción "Forever" de As I Lay Dying. when i wake from this dream will you still be here? Escuchar As I Lay Dying Forever Lyric Video.